Baahubali: The Conclusion is one film that changed the fate of many actors after it raked some unexpected figures across the globe. Baahubali: The Conclusion is the country’s biggest blockbuster and it performed exceptionally well in all the released territories and languages. 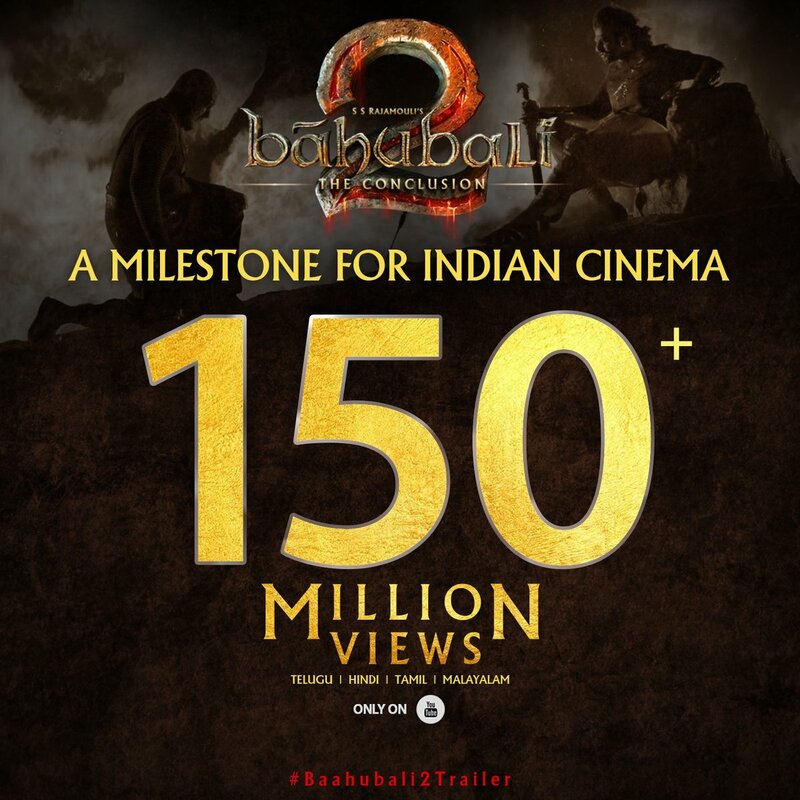 Baahubali: The Conclusion achieved a milestone after it emerged as the most viewed trailer on Youtube. The trailer has been viewed over 150 million times on youtube which is huge. The Hindi version trailer alone has been viewed 70 million times which is a record. Produced by Arka Media Works, Baahubali: The Conclusion minted nearly Rs 1700 crores worldwide and is still counting.